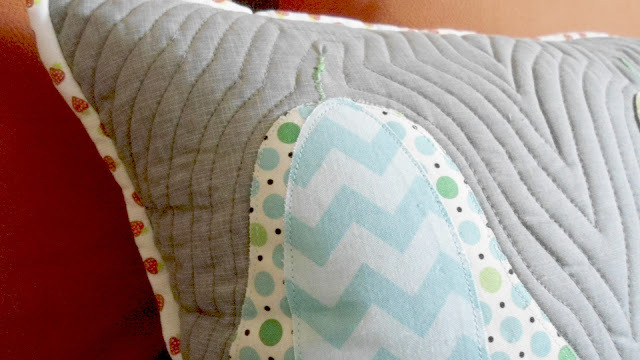 You probably by now should know that I love making pillows... for others.. not for me. One that is so loved one is of course my mom! I was thinking the other day how many couches she should have to put them all! It all started with this pillow back in 2011.
knowing she loves patchwork as much as I do, made this Ohio star pillow for Christmas 2012. It's sad that I didn't get many photos of it..just this instagram one! Bummer! It was such a cute pillow. and then it was this patchwork pillow, we had seen it while browsing flick one day, and she instantly fell in love. It's been so long since I've started this one, and I can't even remember where we first saw it. I know for sure that it's a pattern from a fat quarterly issue. 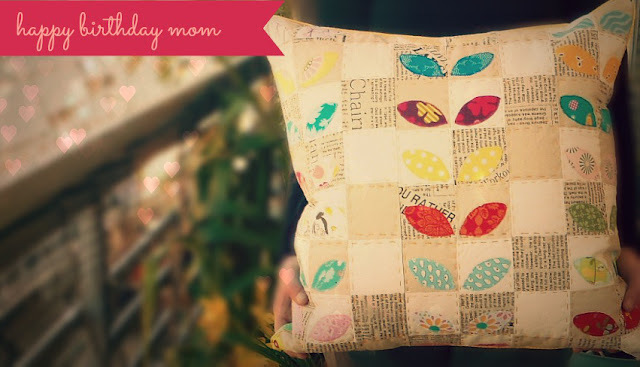 So what about you, what handmade items do you usually make for your moms.?? My next project is a pattern from Patchwork please for some hexagon trivets..I'm still waiting for fabrics to arrive, but please don't tell her anything... it's a secret...sssshhhhh!!! Happy Sunday whatever you're doing!! 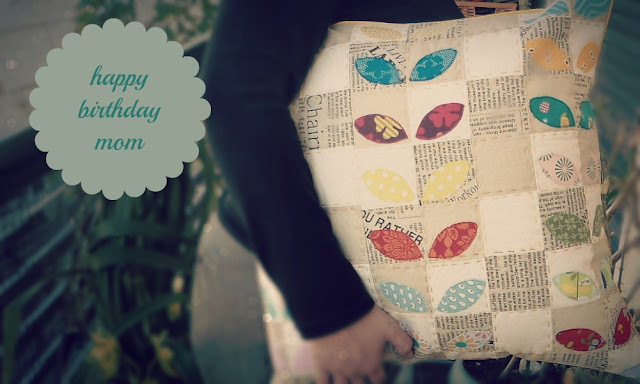 Hi Eleni, you have made so beautiful and special pillows! My mom would get lots of fun pillows if she were still with us. 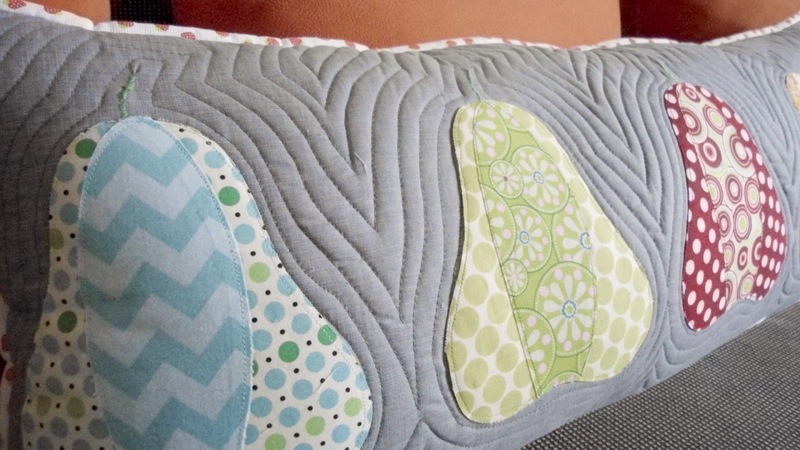 Pillows are so enjoyable and always in my mind ... have to find a moment to make at least one! Lovely pillows! The one with the tiny leafs is adorable! They are all beautiful but my favorite is the one with pears: I just want to eat them!